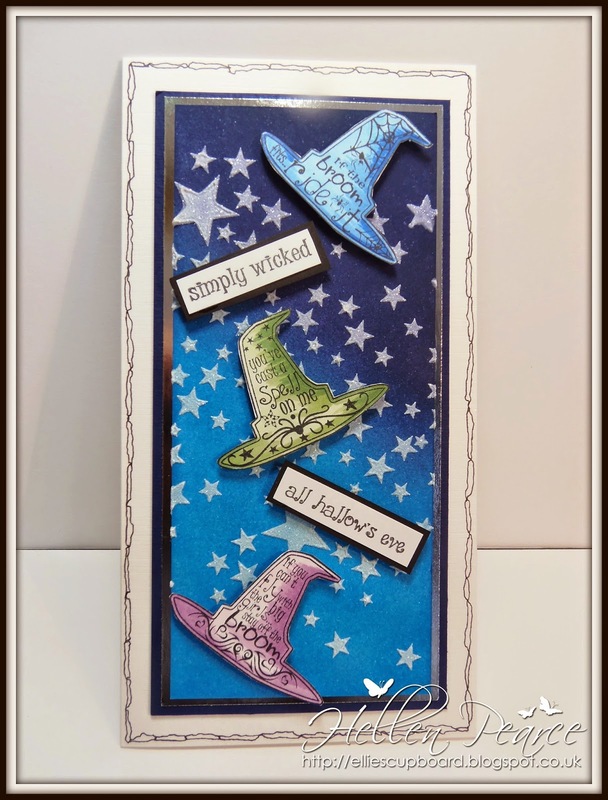 Whimsy Guest Designer and Blog Hop Day 2 ! This week Whimsy Stamps is releasing 11 new red rubber stamp/stamp sets and 3 coordinating die/die sets, and they will be available to buy from the Whimsy Stamps store and all selected Whimsy Stamps retailers ... TOMORROW! We are thrilled to welcome Hellen Pearce, Sheri Willshire, Tabbatha Sandoval and Tracey Murphy as our Guest Designers for this release. Welcome ladies! Yesterday we sneak peeked the new Elisabeth Bell, Time For Tea Designs and SC Design products. Today we are excited to show you the brand new Crissy Armstrong and Raindrop Echo Designs stamps and dies being released this month. For a full reveal of these products, check out the Whimsy blog! 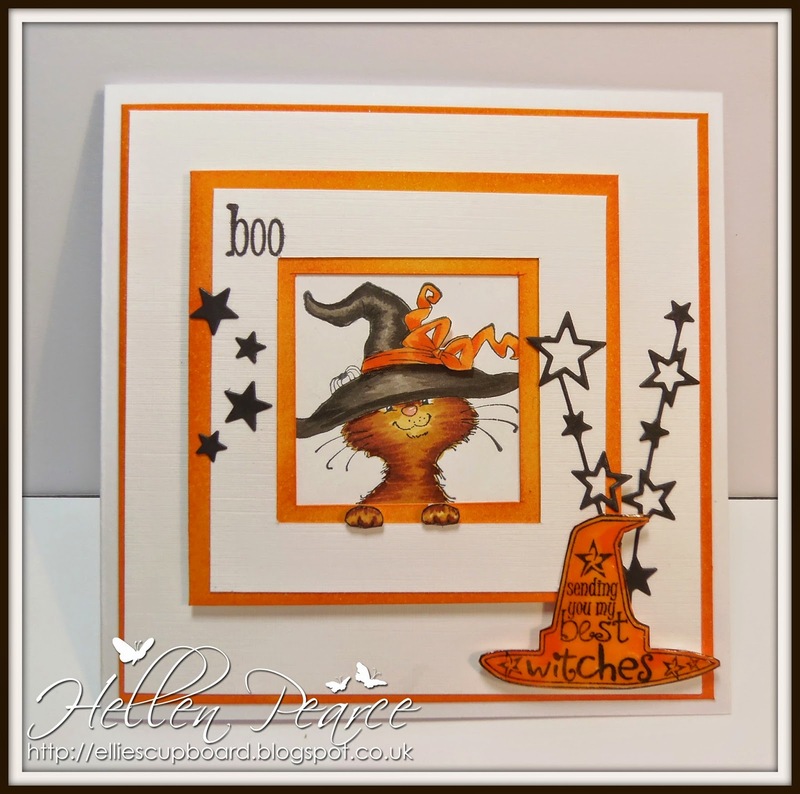 For today's project, I have inked up the cute little Cat Witch designed by Crissy Armstrong and the fun set of Witch Hat Sentiments by Raindrop Echo Designs - both such fab sets of images to celebrate Halloween this year ! Cheeky cat peeping out to send you 'best witches' . Love these little hats with quirky sentiments on them ! Such creative ways to use the stamps! Love them both!! Very cute. I like the layers on the first and the colorful hats on the second. Really fun projects, Hellen! 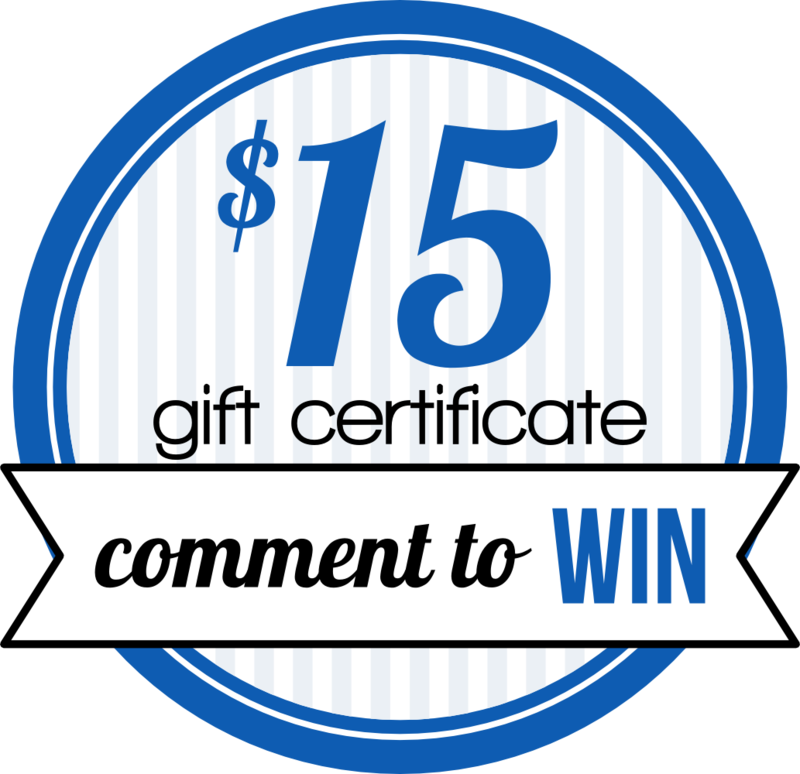 Love the designs on both, as well as the cute images and sentiments! The hats will be so useful pm so many different designs. love your party kitty and the tonal hats are great. You did a great job on both of these, they are so cute! Fantastic cards Hellen, what great stamps. Oh my gosh. I love the cat. I love the hat. I love the cat in the hat. Oh wait. I Love your card. Such gorgeous cards. I love the cute cat, fabulous colouring and wonderful layout. 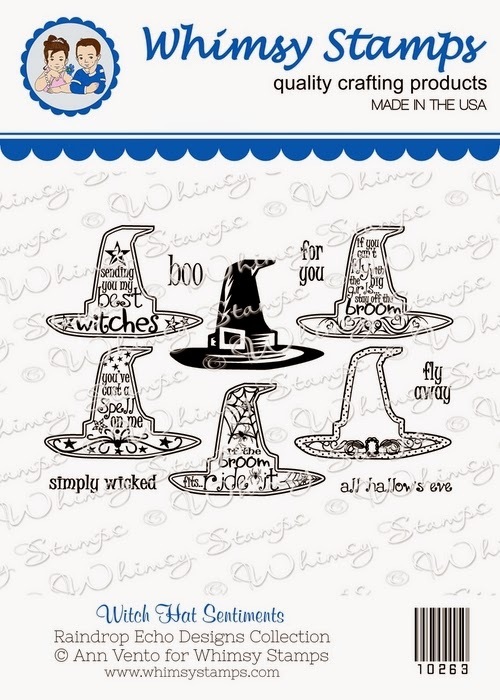 The witches hats with the sentiment look wonderful too. Fantastic cards!!! Love what you did with the cat! So cute and I love how you used the paws, so clever! Adorable cards! Love the kitty one - so cute! I am enjoying the new stamps but I think the kitty is my favourite! These are just so wonderful!! love them!! Oh these are adorable! 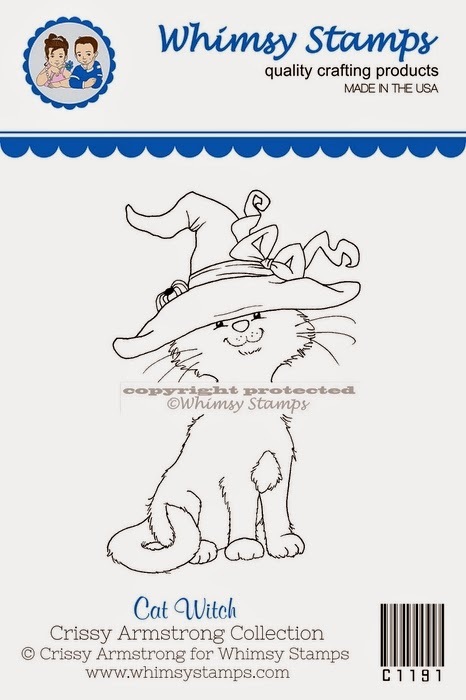 Love your CAS card with the cat & hat!! And your second one is equally fun with the bright colors & stars!! Cute card! Love the stars! Wonderful cards! Love how the little kitty is peering out of the window, so cute! Your spooky cat card is adorable! That kitty is so cute. I love how you have changed it to be peeking through the window - just adorable. Great starry background with the witches hats too. Your Halloween cards are lots of fun! This is too precious! Love it!